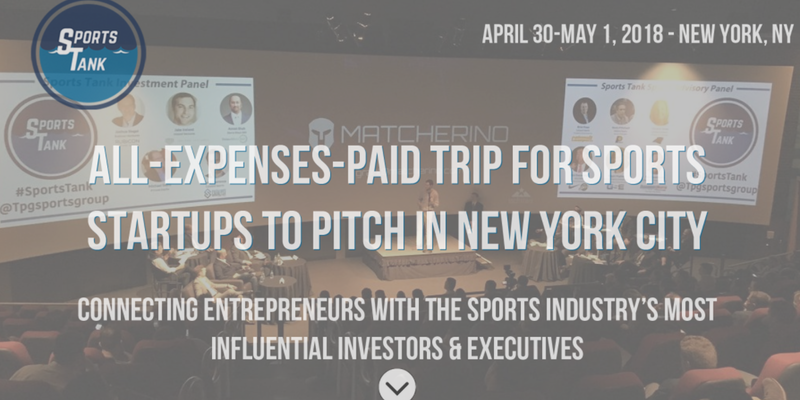 Join us on May 1st to watch as innovative sports technology companies pitch live on stage to Venture Capitalists and influential Sports Executives. Join sports industry leaders and decision-makers also in attendance. Sports Tank is the worlds #1 sports specific pitch event, providing sports-related startup companies the opportunity to pitch to strategic investors and sports executives. 5 companies are selected for Sports Tank plus 2 companies from our Next Gen Arena. All will pitch live on stage at Sports Tank on May 1st. LIMITED TICKETS AVAILABLE TO THE PUBLIC.